OCCAR comprises essentially the Board of Supervisors (BoS) and the Executive Administration (OCCAR-EA). The BoS consists of the Ministers of Defence of the six OCCAR Member States and is the highest decision making body of OCCAR. For the day-to-day business, the Ministers of Defence have delegated the BoS membership to their National Armament Directors or other appropriate representatives. The Board of Supervisors is assisted by four committees in specific areas: the Future Task and Policy Committee (FTPC), the Through Life Management Committee (TLMC), the Finance Committee (FC) and the Security Committee (SC). The rules and procedures of the BoS and the Terms of Reference of the Committees are explained in OMP 3 and its Annexes. 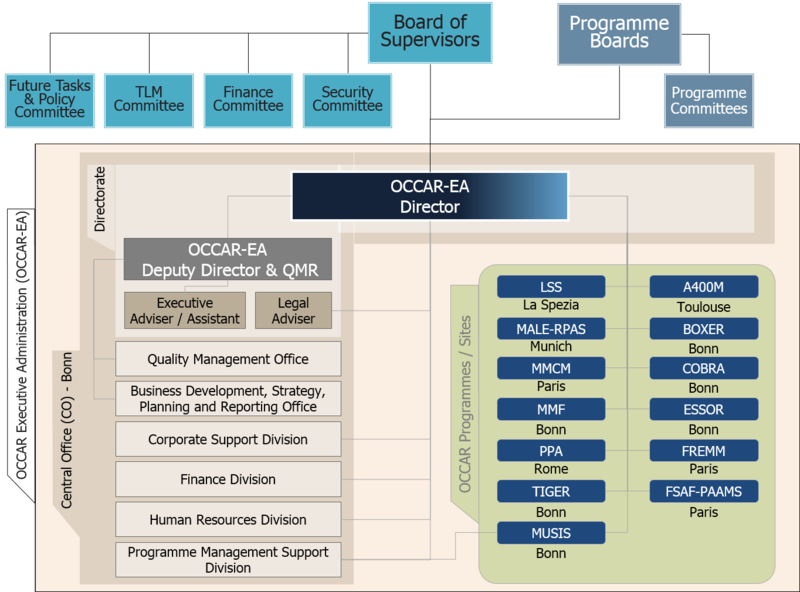 The Executive Administration is headed by the OCCAR-EA Director and is composed of the individual Programme Divisions (PDs) and the Central Office (CO). The Programme Managers (PM), each leading a PD (or a Programme Management Cell within the CO), are empowered to manage the relevant programme in order to achieve the programme objectives and especially the High Level Objectives (HLOs) as defined for each Programme by the Participating States. Every Programme is supervised by a Programme Committee (PC), addressing operational level issues, and a Programme Board (PB), taking strategic level decisions. 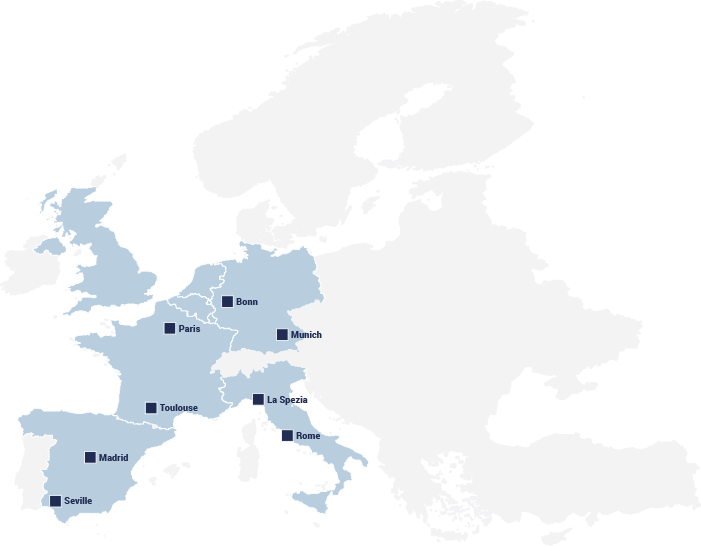 The PCs and the PBs are formed by representatives of the relevant programme Participating States (OCCAR Member States and non-Member States). The Central Office with the corporate resources is offering common support to all Programme Divisions and is acting as knowledge pool in the key areas of programme management in support of the Programme Divisions.